Time for the annual Rothfels lab photo! Rothfels lab-photo? Rothfels-lab photo? Rothfels lab lab photo? This is us! Fall 2018. Late October is totally fall. From L to R: Keir Wefferling, Jonathan Qu, Forrest Freund, Carrie Tribble, Abby Jackson-Gain, Athyrium filix-femina, Mick Song, Sonia Nosratinia, Carl Rothfels, Dori Contreras, Maryam Sedaghatpour, and Joyce Chery. Missing (also L to R): Alan Smith, John Game, and Sraavya Sambara. This is also us, looking modestly more serious. 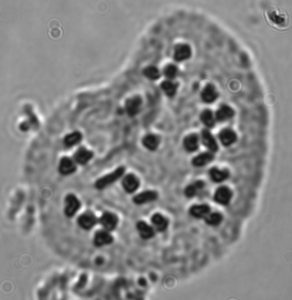 Under Alan Smith‘s tutelage, over the last few weeks I (Keir) have been learning the science and art of meiotic chromosome counting; from selecting and harvesting material at the right stage (it is so easy to catch sporangia just a little too late) to getting the right combination of blotting, tapping, and pressing, I have learned so much AND had some excellent luck! I also feel super lucky to have access to irrigated material at this time of year from Regional Parks Botanic Garden (up at Tilden)! Mature frond of tetraploid Pentagramma viscosa (? ), or more likely 4x P. triangularis crossed with P. ??. Note the golden, bioflavonoid-rich farina, and dark sporangia along the veins. Tetraploid P. viscosa (? ); 2n = 60II. More likely 4x P. triangularis x something else. …we’ll see upon closer inspection what the subgenomes have to say for themselves. 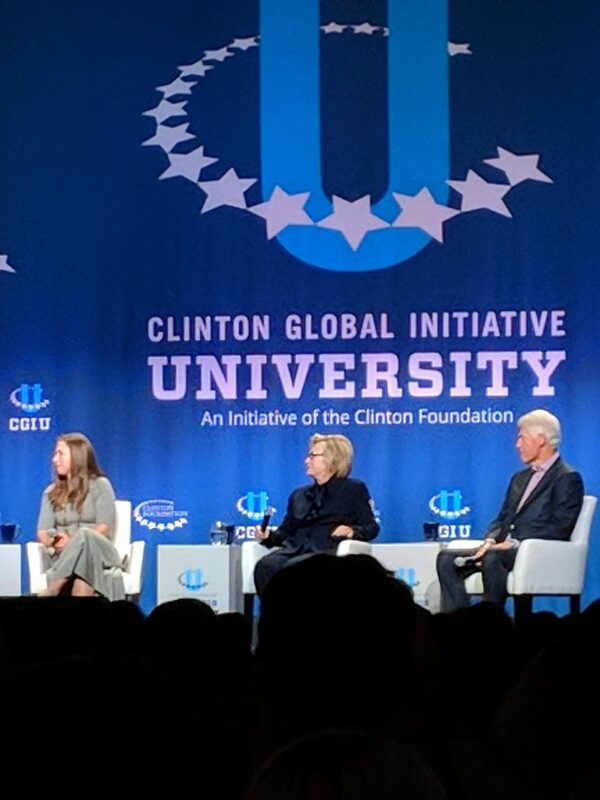 This past weekend, Carrie attending the 2018 Clinton Global Initiative University Campaign meeting at the University of Chicago. 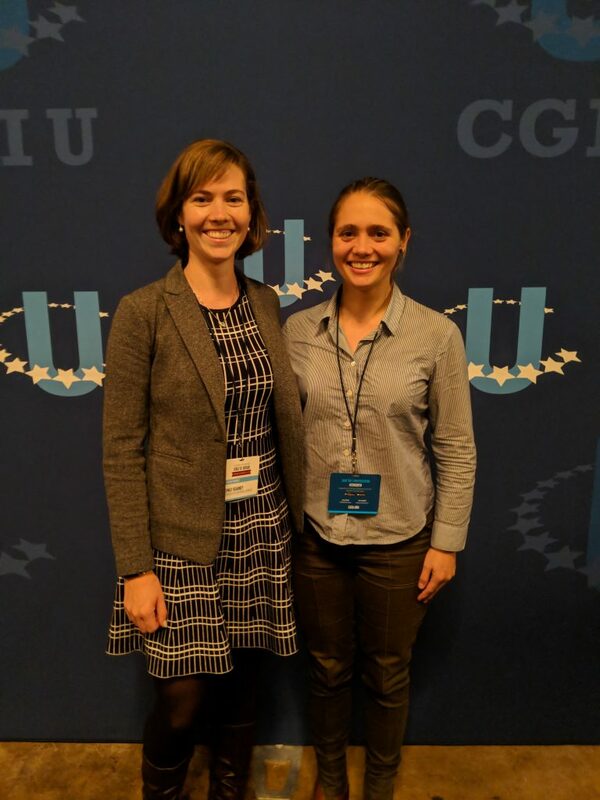 Along with other graduate students at UC Berkeley, Carrie has started Project Field Equity (Fe), with the mission to reduce the incidence of sexual harassment and assault during fieldwork and other off-campus learning opportunities. During the meeting, attendees had the opportunity to network with other student-driven initiatives for change, hear from a variety of speakers, and workshop ‘commitments to action’ for the coming months. Keep any eye out for future updates from Project Fe, and feel free to reach out to Carrie or the other members for more information! I have been really enjoying working with “my” 7th-graders over the last few weeks as we explore what it means to be a scientist! 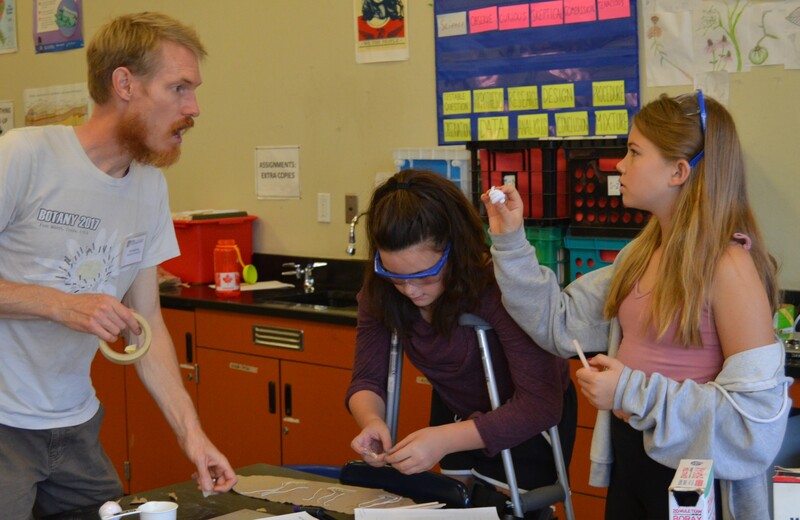 The “Be A Scientist” program is organized by Berkeley-based Community Resources for Science, who partner with Berkeley Public Schools to bring local volunteer scientists (students, postdocs, faculty) to the classroom for a 6-week start-to-finish science project. We guide the 7th-graders in formulating their questions and hypotheses, designing experiments, collecting data, and interpreting and presenting their results. This has been an amazing and fast-paced experience to see how the different students each approach questions and problems. They are incredibly quick to adapt to changing plans and to accept unforeseen results. I am learning a lot, both about what gets them excited and about how they ask questions about the world around them. Slimy, gooey science! 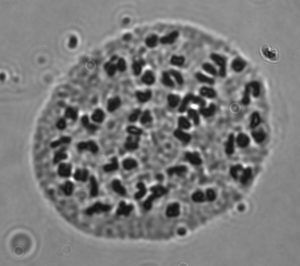 Working in a public school in Berkeley is exciting on many levels; it brings me out of my specialized sub-field (plant cytology, biogeography, and systematics) and gives me the opportunity to communicate about the scientific process to a diverse group of citizens in their formative years. My hope is that my enthusiasm for my research with plants—and for science more broadly—will make a lasting impression on the students and show them that science (as well as math, careful planning, researching an idea and following through with the investigative process…) can be fun and satisfying. Of course, the scientific process can be messy at times, and a “failed” experiment will often teach us more than we expect. I am very grateful for this experience that is bringing me in contact with some interesting and bright young people. Their curiosity, insightful questions, and flexibility has certainly made an impression on me! I am looking rather amazed by a coil of pipe-cleaner presented by J., as A. prepares her wicks for growing salt crystals. Photo by Tyler Chuck, CRS. 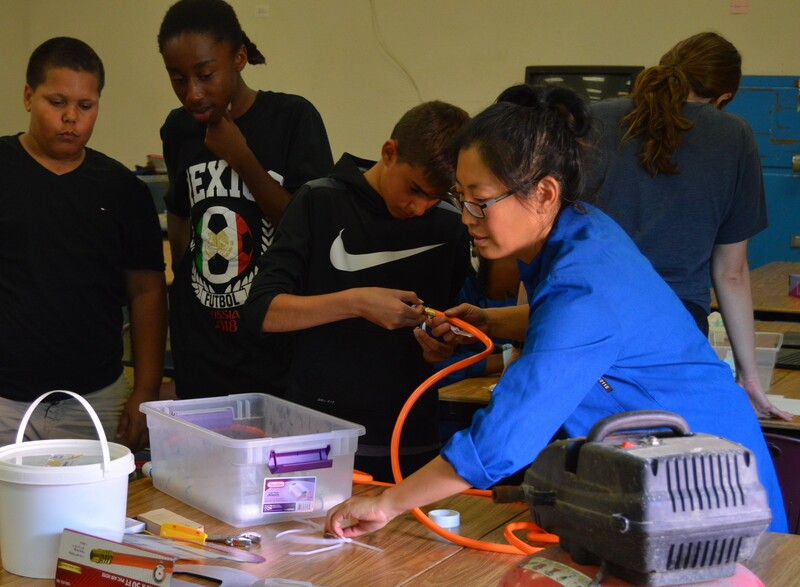 Darlene, Project Coordinator for Community Resources for Science, has been in the classroom every week, helping students set up their experiments and providing support for the mentors. Photo by Tyler Chuck, CRS. 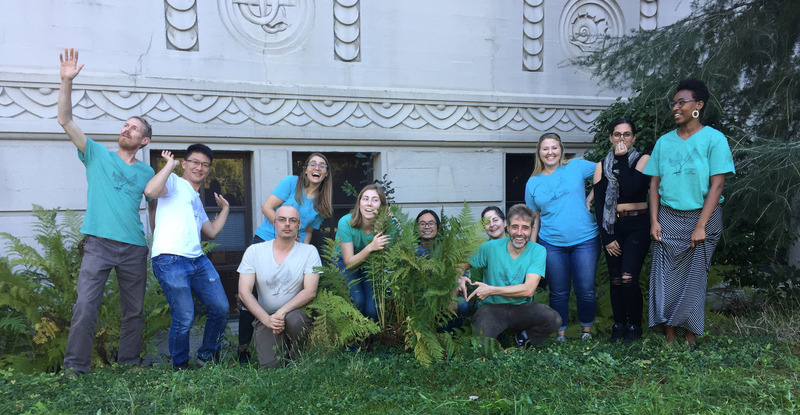 UC Berkeley is the lead institution on a freshly funded TCN (Thematic Collections Network–part of NSF’s Advancing the Digitization of Biodiversity Collections [ADBC] program): The Pteridophyte Collections Consortium (PCC for short). Cindy Looy, Diane Erwin, and myself are the Berkeley PI team, aided and abetted by our Portal Manager Joyce Gross and our Project Manager Amy Kasameyer. 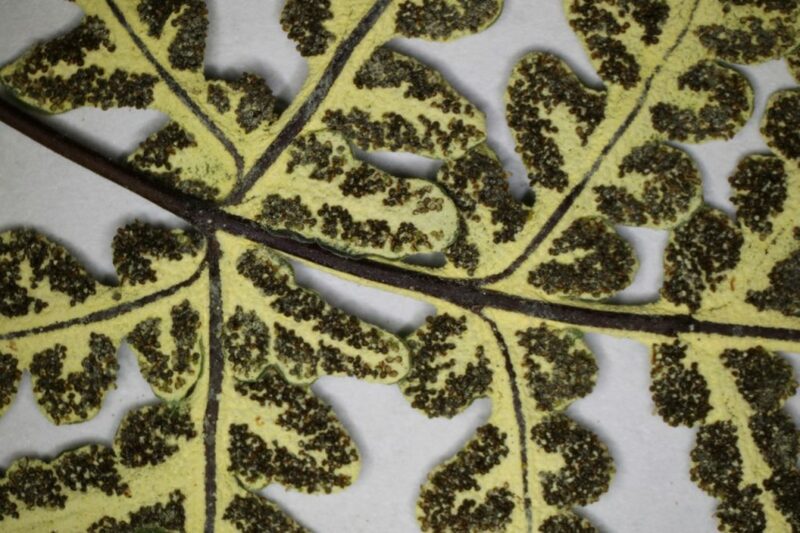 The focus of this grant, and of the PCC, is to digitize over 1.6 million extant and fossil pteridophyte specimens from 36 herbaria and museums throughout the U.S. For each specimen an image will be taken, and the collection data digitized–both images and the digital collection data will be available online through our Symbiota portal and data aggregator sites such as iDigBio, and the Global Biodiversity Information Facility (GBIF). The other main goal of the PCC is to help unite the paleontological and neontological pteridology communities (the people interested in fossil and living pteridophytes, respectively). Typically, these two communities tend to be in different university departments, go to different conferences, and their study collections are housed in different institutions (paleontology museums and herbaria). 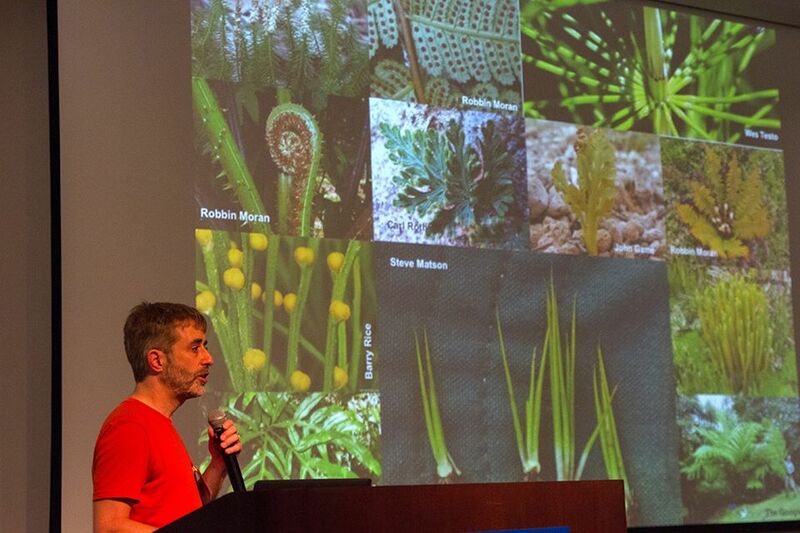 The PCC will bring these communities, and their collection data, together in a single location, and promote an integrated approach to the study and appreciate of pteridophytes from their origin ~420 million years ago to the present. See here for a cringe-worth introduction to the PCC. 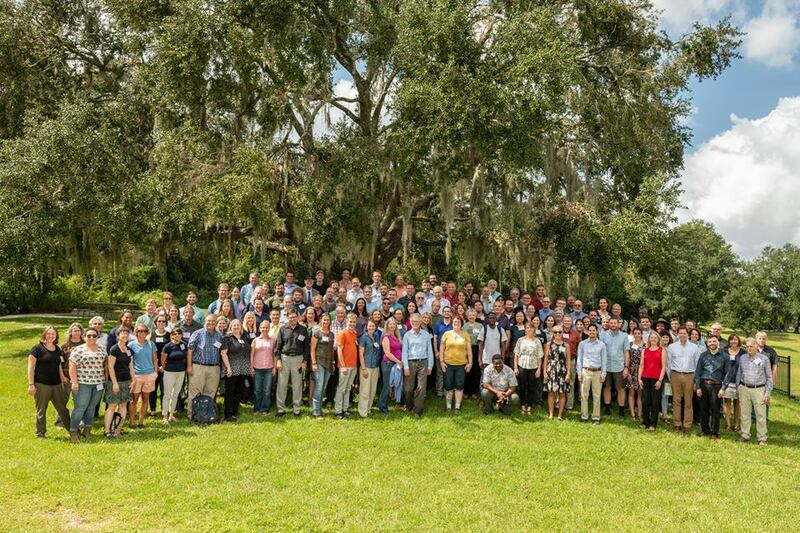 The Pteridophyte Collections Consortium (more posts on this soon!) represented at the 2018 ADBC (Advancing Digitization of Biological Collections)/iDigBio summit in Gainesville, Florida, in the first week of October. It was simultaneously overwhelming and inspiring–we have a lot of pteridophytes to digitize! Carl presenting the PCC introductory lecture at the iDigBio summit. Look at all those digitizers! Plus that oak is probably full of Pleopeltis.